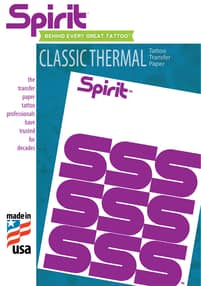 The original Spirit brand stencil paper - beware of imitations. These are used for making stencils using a thermal copier. Produces sharp, clear copies and is specially coated to protect your clothes and hands. Available in two sizes, in boxes of 100 sheets. Made in USA.